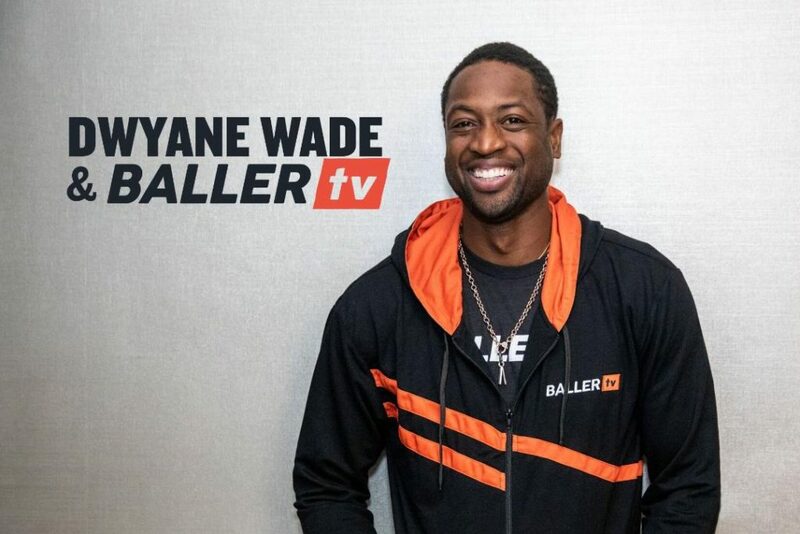 BallerTV, the leader in amateur sports coverage, today announced Miami HEAT Champion Dwyane Wade as their first global ambassador. The three-time NBA champion, twelve-time NBA All-Star and Olympic Gold Medalist will represent the rapidly growing, venture-backed start-up, as they expand the spectrum of sports coverage with live streams, replays and highlights of top amateur sporting events. BallerTV is a sports media platform created to enable families to watch their loved ones play. In addition to connecting families, BallerTV helps athletes improve their skills, increases exposure for athletes for college recruiting and provides a platform to scout other teams and players. Athletes, parents, coaches and scouts have been amazed with their access to BallerTV’s unprecedented library of amateur sports video footage. Wade, an avid user of BallerTV when he is in season and on the road, stays connected with his son Zaire, who currently plays high school basketball in South Florida. The three-time NBA champion will leverage his position as a father, athlete and businessman to support BallerTV’s mission in expanding sports coverage and exposure for all amateur athletes.Wade’s belief in and commitment to BallerTV’s vision was instrumental in his decision to take on a significant role with the company and become an equity partner. BallerTV is rapidly expanding the spectrum of amateur sports coverage and allows subscribers to watch live streams and replays on their mobile-friendly website. The company’smassive library of game footage allows athletes, coaches and parents to analyze game tape to help improve their skills, as well as preview the competition. BallerTV subscribers also include professional scouts and NCAA Division I, II, III and NAIA coaches who identify, review and follow new talent. For more information, please visit www.ballertv.com.